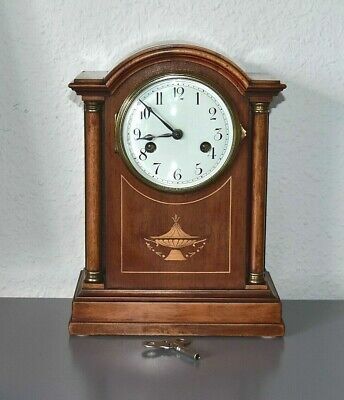 HAC Wurttemberg - Antique Edwardian mantle clock. Germany. Striking, repeating. Sold EUR 57,64 1 Bid, EUR 22,66 Shipping, Pay with PayPal and you're fully protected. Popularity - 35 views, 2.2 views per day, 16 days on eBay. High amount of views. 1 sold, 0 available. 1 bid. 35 views, 2.2 views per day, 16 days on eBay. High amount of views. 1 sold, 0 available. 1 bid.